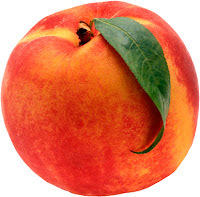 I had a huge juicy peach for breakfast this morning. She was the size of my fist (it’s a big fist) with a perfect spherical shape, perfect blend of intense orange, yellow and red hues, and so much juice running down my chin and all over my hands. She was born and raised on a near-by farm and came to me courtesy of our local farmers market. She gave her life for 2 minutes of intense pleasure. So noble and so worth it! 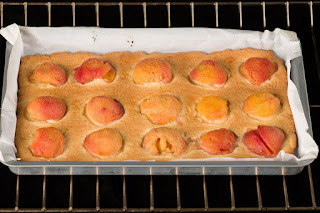 But farm-raised peaches aren’t always perfect, and sometimes they don’t get consumed fast enough before the skin wrinkles and the flesh goes too ripe. 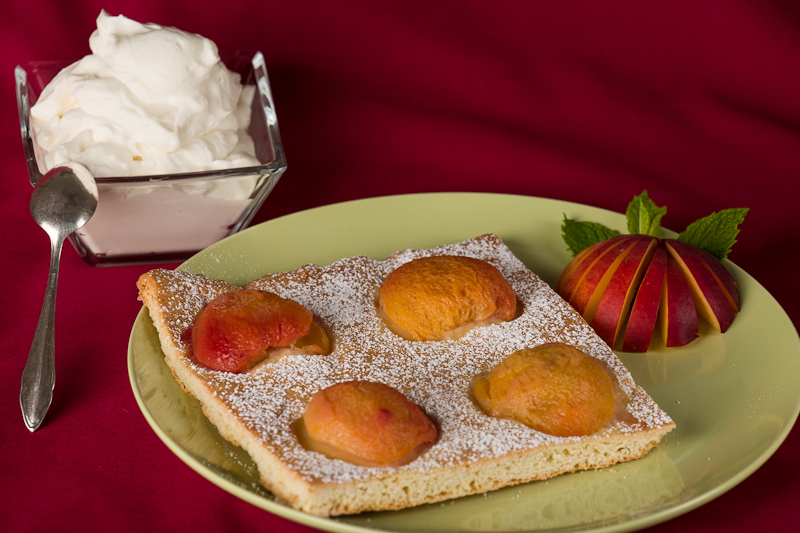 Here we have a perfect solution: our Polish style Peach Tart! 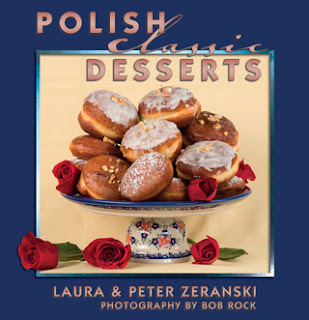 This recipe was intended for our acclaimed heritage cookbook, Polish Classic Desserts, but didn’t make the final cut purely due to space limitations. We love it because it’s easy to make and a healthy way to end any meal or to just enjoy with a cup of tea or coffee during a mid-day break. Preheat oven to 350°F. Butter a 12x15-inch cookie pan and line the bottom with parchment paper. The paper is to help lift the tart from the pan. Using a standing mixer or food processor, cut the butter into the flour until it resembles coarse crumbs. Add the 2/3 cup sugar and baking powder and mix. Add the egg and yolk and sour cream, and combine until the mixture pulls away from the sides of the bowl. Knead the dough for a few minutes. Cover the dough and refrigerate for 30 minutes. Roll out the dough in the prepared pan. Skin the peaches (see note). Cut lengthwise and remove the pits. 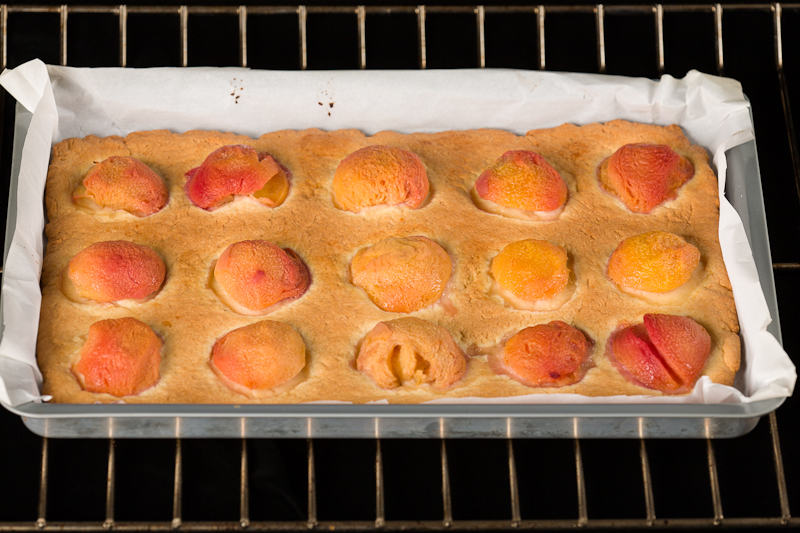 Place the peach halves (flat side down) on the dough in even rows about an inch apart. Bake for 40-45 minutes or until golden brown. 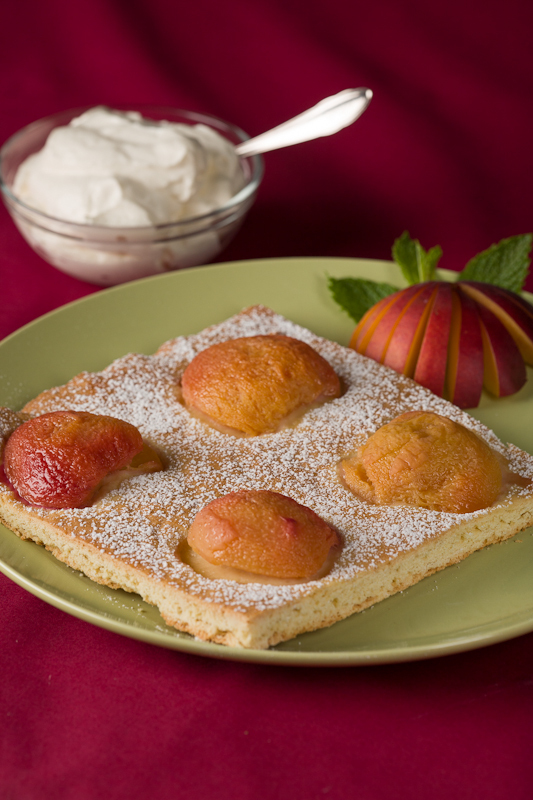 Before serving, sprinkle with the ½ cup confectioners’ sugar. Serve with whipped cream. Best served the same day. Note: to skin peaches easily, cut a small “x” in the bottom of each peach and drop them in a pot of boiling water for 30 seconds or so. Immediately transfer from the hot water to a large bowl of ice water for about one minute. Peel the skin off easily by starting at the tips of the “x” you cut earlier. For best results, work with only a few at a time – if you have too many in the hot water, you won’t be able to remove them fast enough and they will start cooking through.